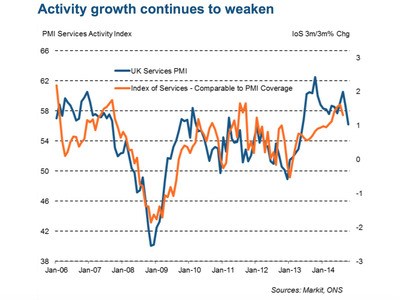 The UK’s services PMI (a common measure of business activity) dropped to 56.2 in October. That’s still well above the neutral 50 level, suggesting decent growth. 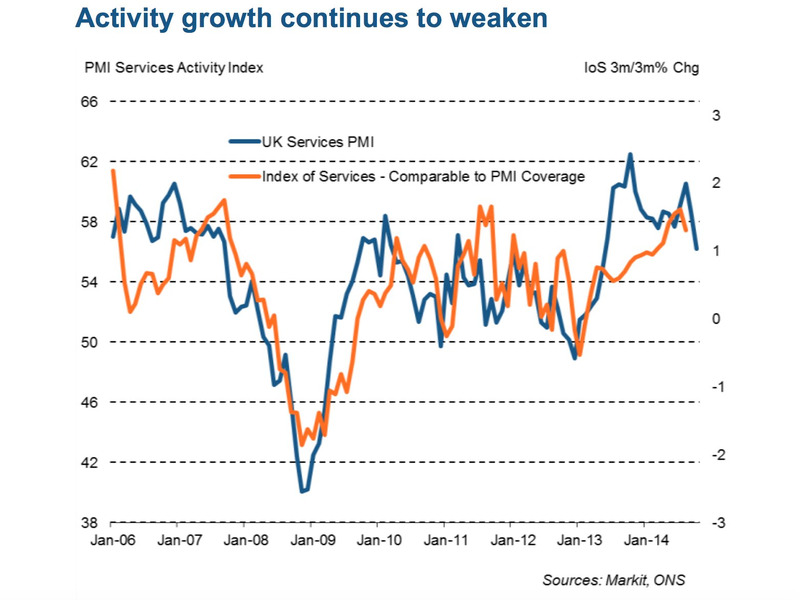 But it’s also a 17 month low for the UK’s biggest sector (by far) and a solid sign that the country is moving into a more moderate growth pattern.